SULL Knighted Man is the full brother to the 3-time National Champion SULL Red Knight. SULL Knighted Man 6231d brings the same maternal traits and eye appeal with the consistent added depth of body that we have come to expect from the SULL Red Knight calves. 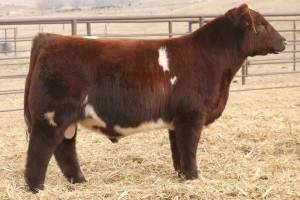 If you are serious about raising show cattle with today’s look and body, don’t miss out on this cow changing brother to SULL Red Knight. SULL Knighted Man 6231d will take the guess work out of it when deciding what bulls to use when mating time rolls around.